Schloss Fuschl Resort & SPA ***** Sup. The Hotel Schloss Fuschl provides 5 meeting and conference rooms on a total of 728m² for 120 people in the largest room. The conference hotel has 110 rooms and is located in Hof bei Salzburg. 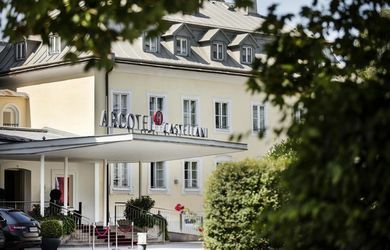 The ARCOTEL Castellani Salzburg as a conference venue has 5 conference rooms totaling 370m ², for 170 people in the largest room. 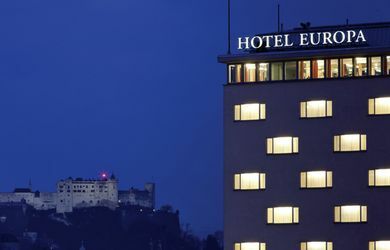 The conference hotel has 151 rooms and is located in the city center of Salzburg. The CESTA GRAND Aktivhotel & Spa as a conference venue has 6 conference rooms on 414m², for 80 people in the largest room. 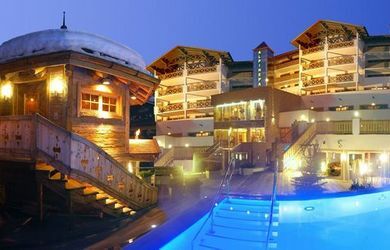 The conference hotel offers 111 rooms and is located in Bad Gastein. The Alpine Palace as a conference venue has 5 meeting rooms on altogether 470sqm, up to 160 people in the largest room. The conference hotel has 82 rooms and is located in Hinterglemm. The Aldiana Club Hochkönig has 2 conference rooms, altogether 115m ², for 60 people in the largest room. The venue has 140 rooms and is situated in the middle of Salzburg Country. 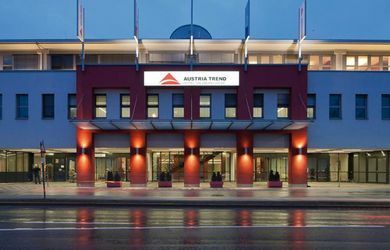 The Austria Trend Hotel Salzburg West, as a conference hotel, has 7 conference rooms, altogether 747m ², for 160 people in the largest room. The conference venue has 139 rooms and is located in Salzburg close to the airport. Sheraton Fuschlsee-Salzburg Hotel Jagdhof **** Sup. The Sheraton Fuschlsee-Salzburg Hotel Jagdhof offers 11 function and conference rooms, totaling 1001m ², 500 people in the largest room. The conference hotel has 143 rooms and is located in Hof bei Salzburg. 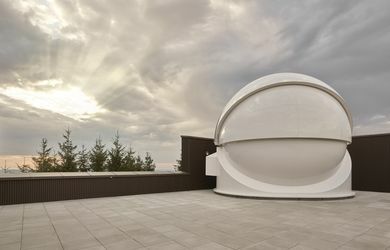 The Vega Observatory | Haus der Natur, as an event venue, offers 5 conference rooms, altogether 343qm, for 150 people in the largest room. The conference venue is situated in Nussdorf am Hausnberg, in the surroundings of Salzburg. 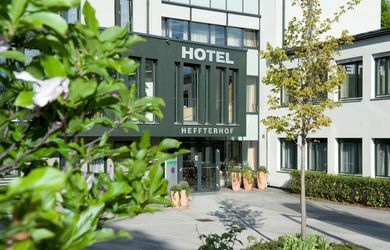 The Hotel Heffterhof, as a conference hotel, offers 13 conference rooms, altogether 1200qm, for 220 people in the largest room. The conference venue has 56 rooms and is situated in Salzburg. The Event & Conference Venue Salzburg Congress offers 15 function rooms totaling 15,000 m² / 1324 people in the largest room. The event venue is located in the center of Salzburg. 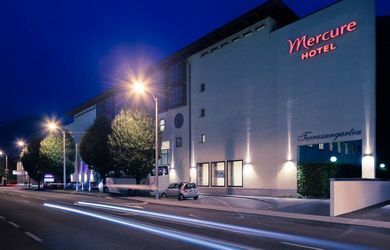 The Mercure Salzburg City, as a conference hotel, has 6 conference rooms, altogether 300m ², for 200 people in the largest room. The conference venue has 121 rooms and is situated in Salzburg. The Puradies has 4 function rooms, altogether 500qm, for 180 people in the largest room. The hotel has 90 rooms and is located in the heart of the Leogang Alps. The Mercure Salzburg Central, as a conference hotel, has 6 conference rooms, altogether 430m ², for 250 people in the largest room. The conference venue has 139 rooms and is situated in Salzburg. 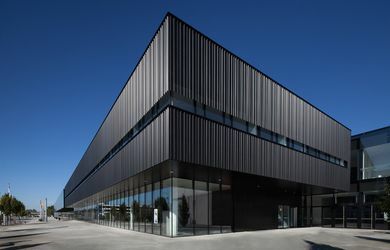 The event venue Congress Center Saalfelden offers 11 conference rooms totaling 2,500sqm/960 people in the largest room. The event venue is located in Saalfelden in Salzburg. The Austria Trend Hotel Europa Salzburg, as a conference hotel, has 3 conference rooms, altogether 300m ², for 90 people in the largest room. The conference venue has 103 rooms and is situated in the centre of Salzburg at the main train station. 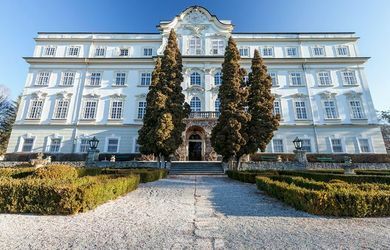 The Hotel Schloss Leopoldskron as a conference venue has 9 function rooms totaling 762sqm, 150 people in the largest room. The conference hotel has 67 rooms and is located in Salzburg. 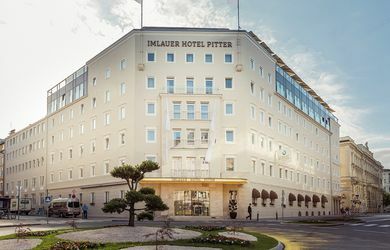 The IMLAUER HOTEL PITTER Salzburg offers as a traditional 4-star conference hotel 16 function rooms totaling 1,200sqm, 500 people in the largest room. 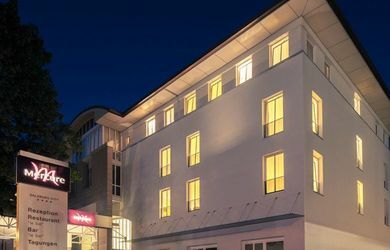 The conference hotel offers 300 rooms together with the neighbour Hotel IMLAUER & Bräu and is located in the city center of Salzburg. Das Alpenhaus Gasteinertal offers 2 conference rooms for 60 people in the largest room. 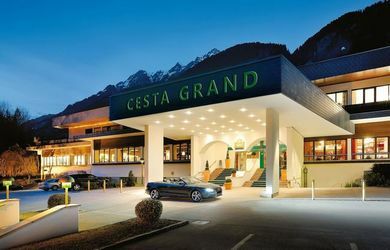 The Hotel has 89 rooms and is situated in Bad Hofgastein. The Alpenhaus Kaprun as a conference venue has 3 meeting rooms totaling 290m² for 250 people in the largest room. The conference hotel has 122 rooms and is located in Kaprun / Salzburg. 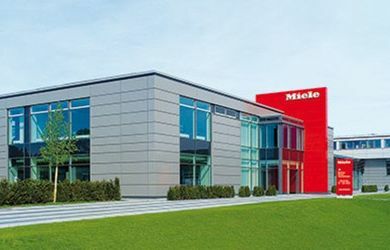 The Event venue Miele Experience Center Salzburg offers 6 conference rooms with a total 500sqm/140 persons in the largest room. 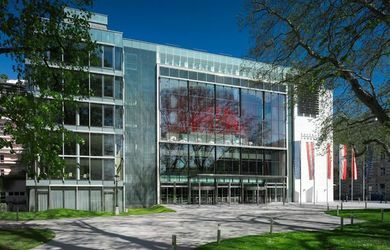 The event venue is located in Salzburg. 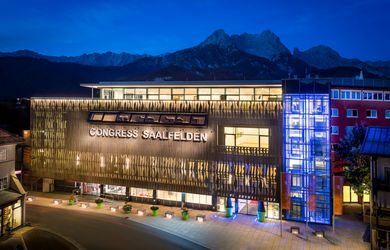 The Event & Conference venue Ferry Porsche Congress Center in Zell am See (Salzburg) has 8 function rooms on a total of 1209m ² / 866 people in the largest room. The event venue is located in Zell am See, 80 km to Salzburg. The Event & Conference Venue Messezentrum Salzburg offers 32 function rooms on a total of 15163m ² / 5000 people in the largest room. 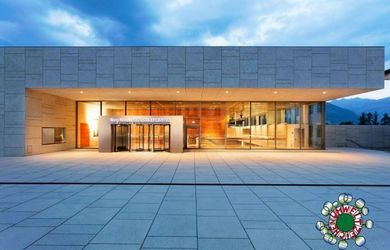 The event & congress venue is located in Salzburg. 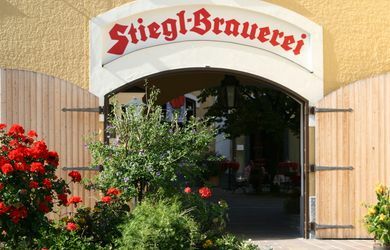 The event venue Stiegl-Brauwelt offers 5 function rooms on a total of 2000m² for 310 people in the largest room. 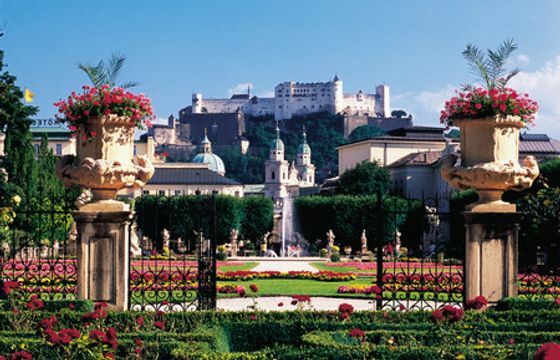 The event venue is located in the city of Salzburg. TheHotel im Wald Hammerschmiede, as a 4stars conference hotel, offers 3 conference rooms, altogether 172qm, for 48 people in the largest room. The conference venue has 20 rooms and is situated 9km away from Salzburg-City. The Event venue St. Peter Stiftskulinarium offers 11 function rooms totaling 674sqm/180 people in the largest room. The event venue is centrally located in Salzburg.